Toys are what children value the most at their tender ages, and a life without toys is always boring for them. This is because toys are considered as the best companion for babies. There are many toys in the market with different manufacturers behind them, but not all of them are safe for babies. Some have been poorly manufactured and may cause adverse harm or injury to your kid. If you are looking for the best toy brand, then Xiaomi is what to go for. Xiaomi is a reputable brand that produces mobile phones and smart home products and it also has done well in making superior quality and child-friendly toys in recent years. Hera is some of the best Xiaomi toys for babies that are reviewed in this article. Do you want to keep your child busy all day while you embark on your chore? Well, if so, then the Xiamo MITU Hape 70pcs Puzzle building blocks is what you ought to go for. Besides keeping your baby occupied, this toy will also provide an avenue of educating him/her. This wonderful product from Xiaomi is basically made for children to use during their enlightenment period. With the Xiami MITU building blocks your kids will be able to learn about different geometry figures, 11kinds of colors, 26 letters of the alphabet and 10 numbers. 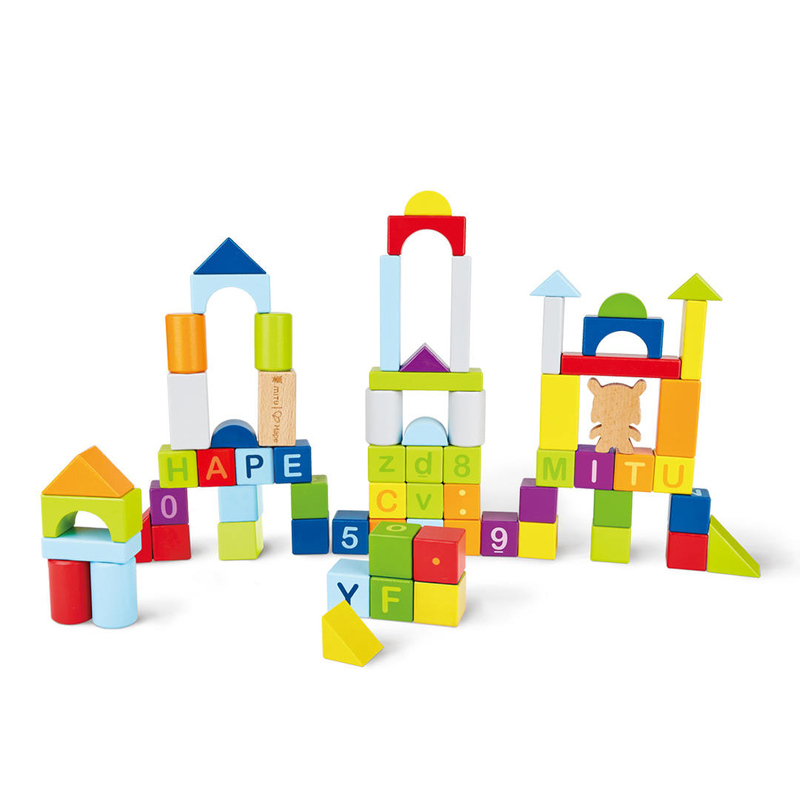 The different blocks in the package will provide endless fun to your kid as they have different play ways and endless creations. This product is made from a superior quality wood material which has smooth ends to protect your kid from harm. Another product from Xiaomi that will keep your kid smiling all day is the Xiaomi Blocks Toys Mitu Wooden Track. 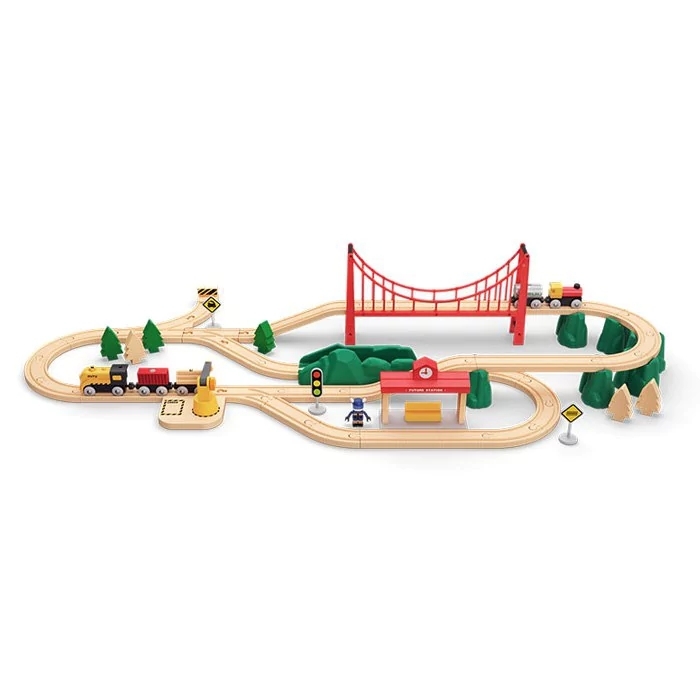 Unlike ordinary toys, this wooden track is strong enough and can endure harsh conditions. It provides your kids with real road and traffic experiences as the moving electric trains simulate realistic and real scenes. The Xiaomi Blocks Toys Mitu Wooden Track features multi blocks that can be freely combined to enable your kid to showcase creativity and hands-on ability. The product is environmentally and child-friendly and provides no room for injuries while your baby plays with it. The most exciting fact about the Xiaomi Blocks Toys Mitu Wooden Track is that it comes with a combination of different colors which make it lively. It also comes with different items like bridges, traffic lights, road signs, trains, trees and hills to make the entire experience realistic. Well, with the above information, it is clear that Xiaomi provides high quality and reliable products. If your search for the best toys always ended in vain, then Xiaomi has a solution for you! !